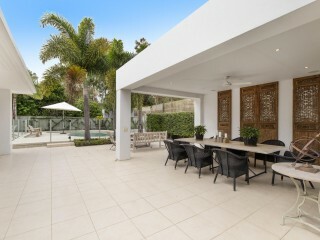 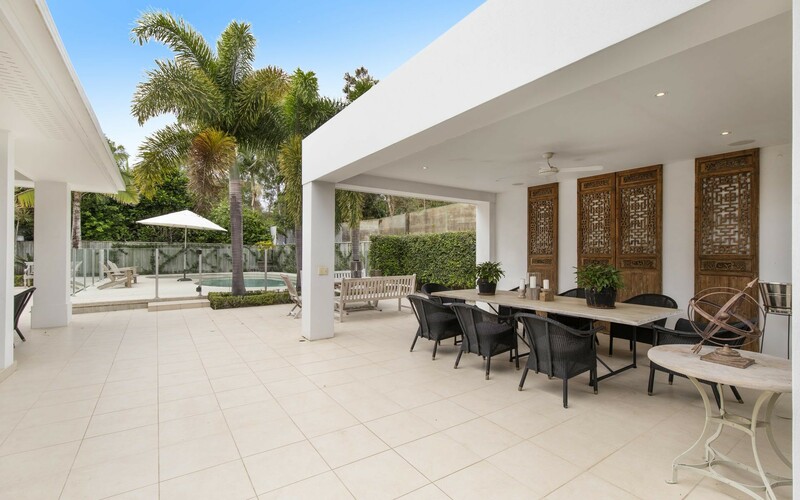 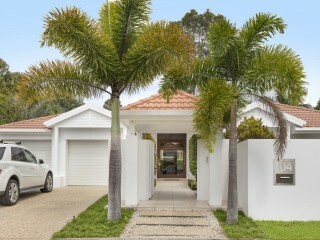 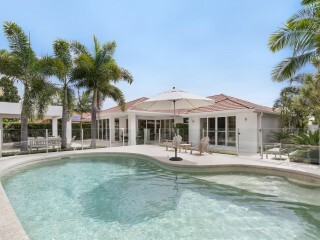 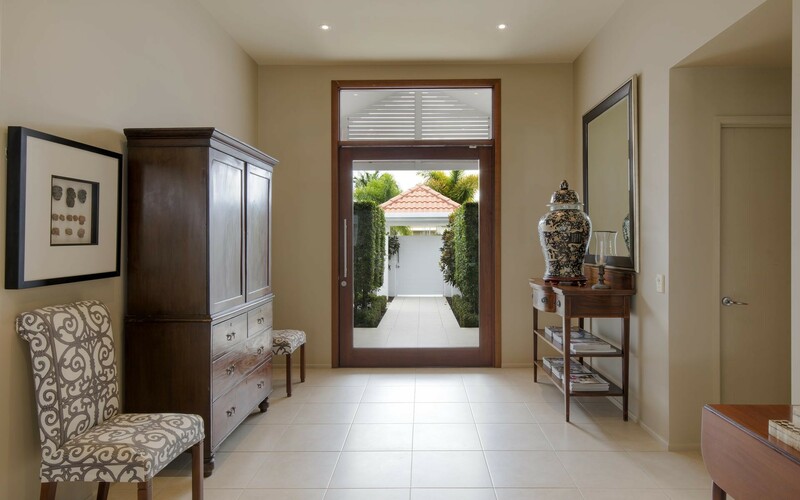 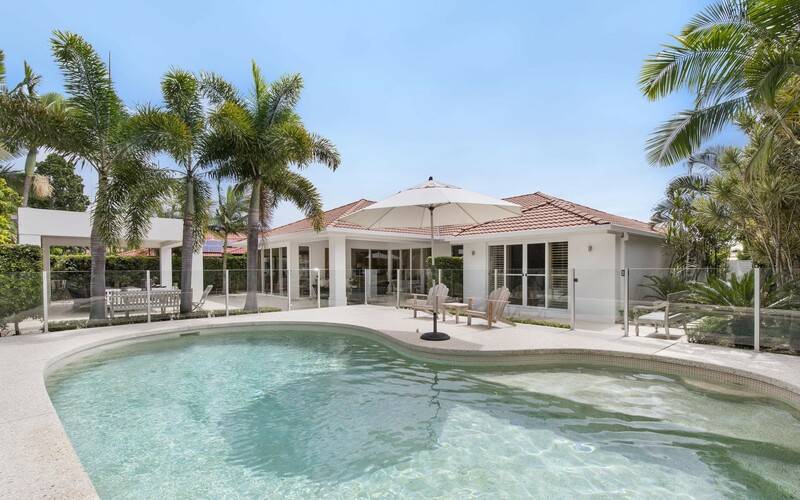 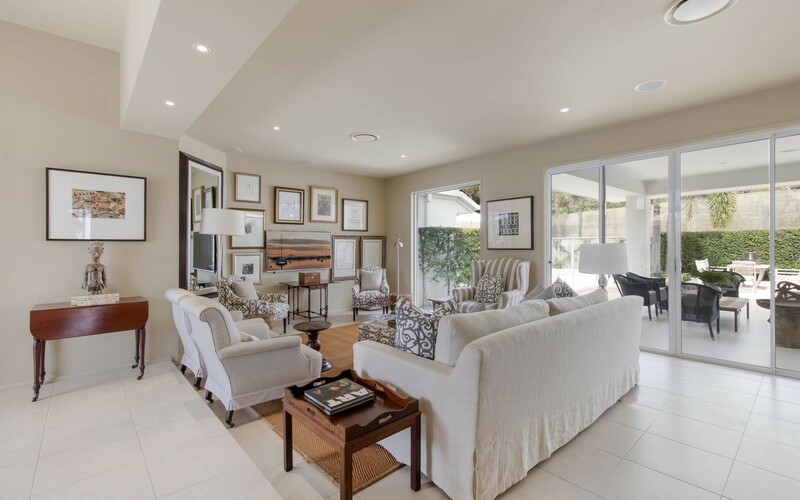 A lesson in sophistication, as is the standard of 104 Shorehaven Drive, this single level Noosa Waters home is a low maintenance, simplified living paradise. 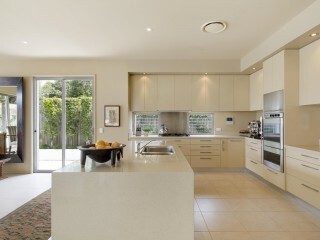 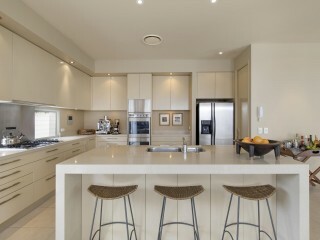 Thoughtful planning has achieved a layout with specific zones, yet the home certainly does not feel disconnected. 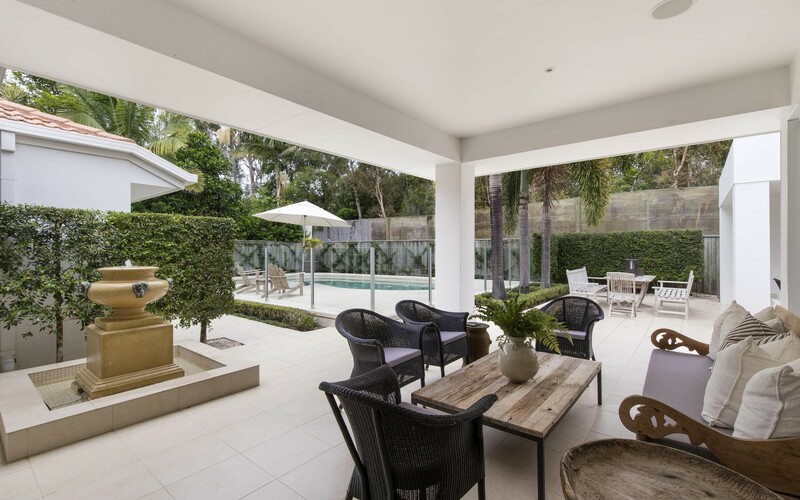 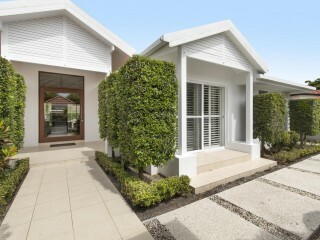 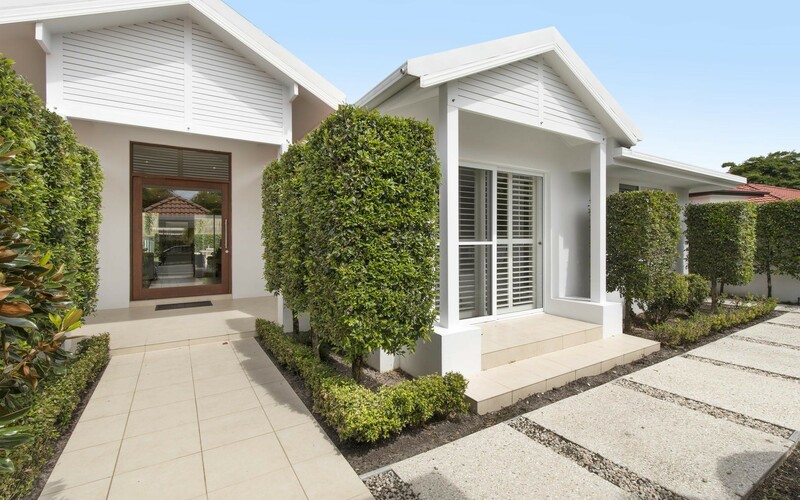 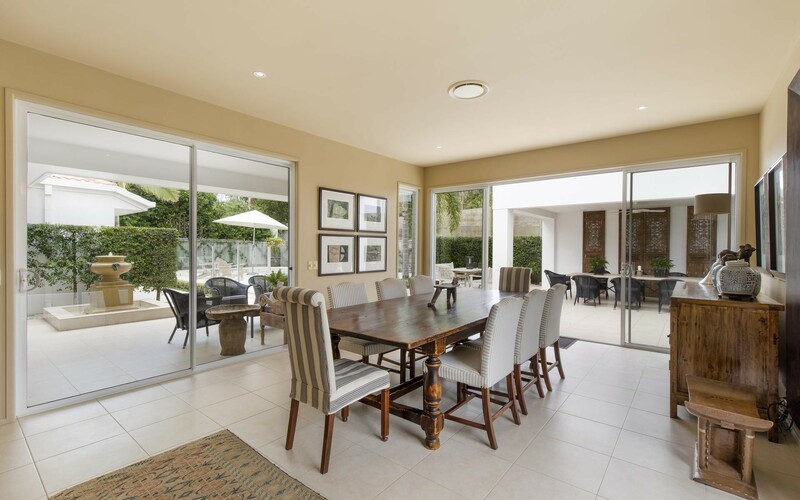 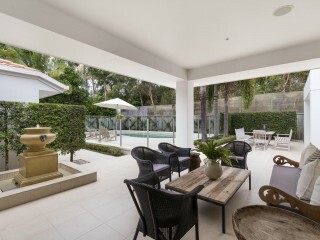 Main living precincts, dining and kitchen all open through wide banks of glass doors to a sunny rear yard comprising a separate alfresco and in ground pool. 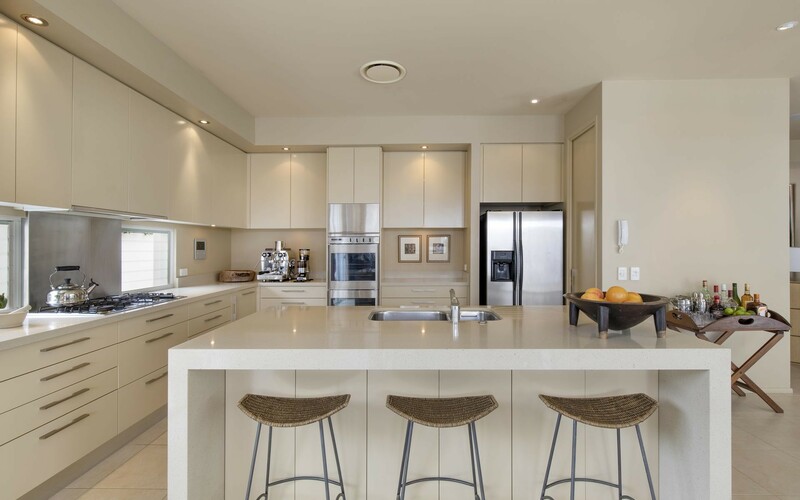 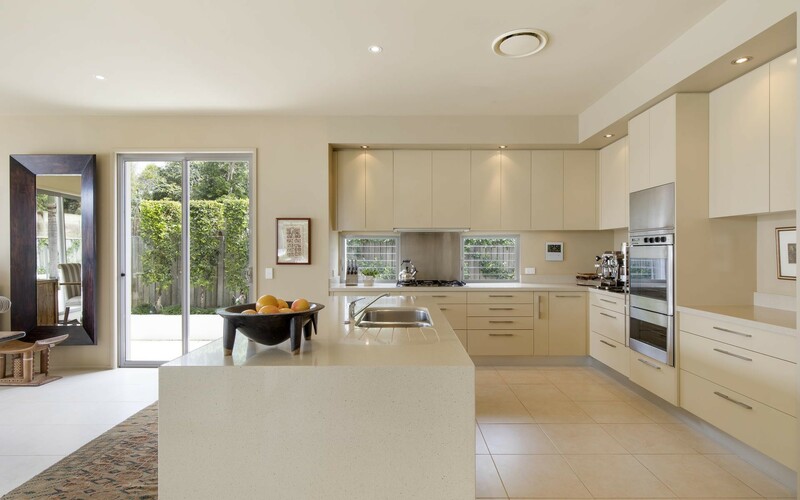 The luxuriously appointed kitchen includes 40mm and 60mm Caesar stone benches, a generous central island, walk in pantry, gas stove and dual Fisher & Paykel dish drawers. 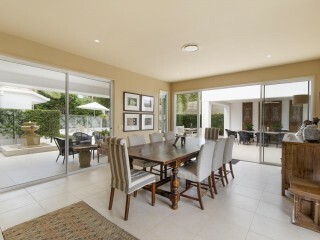 Adjacent, the formal dining area is spacious enough to host as many guests as you desire. 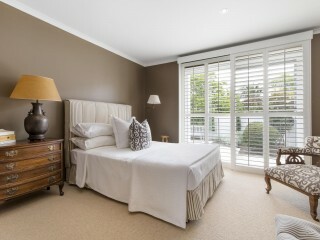 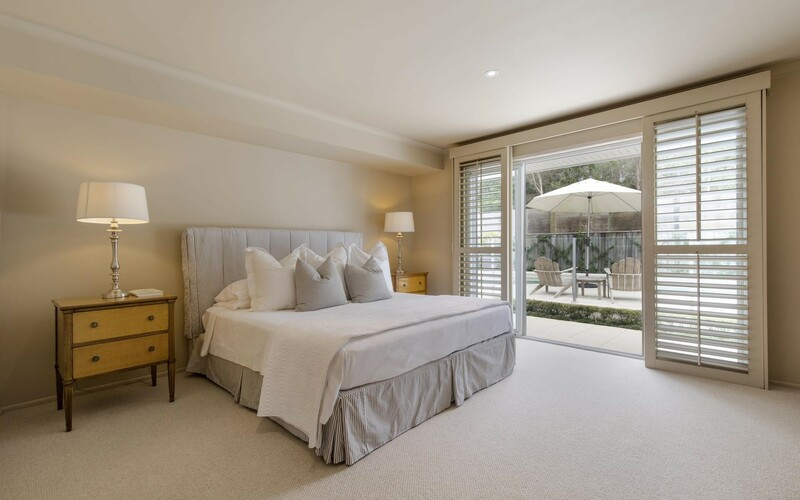 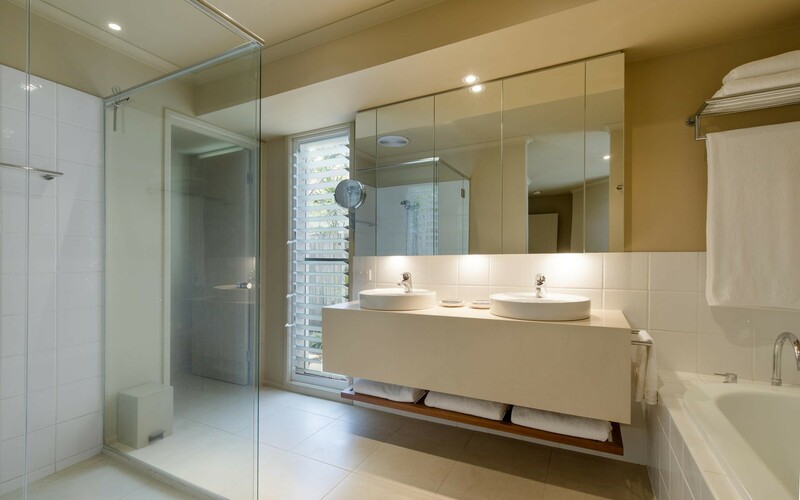 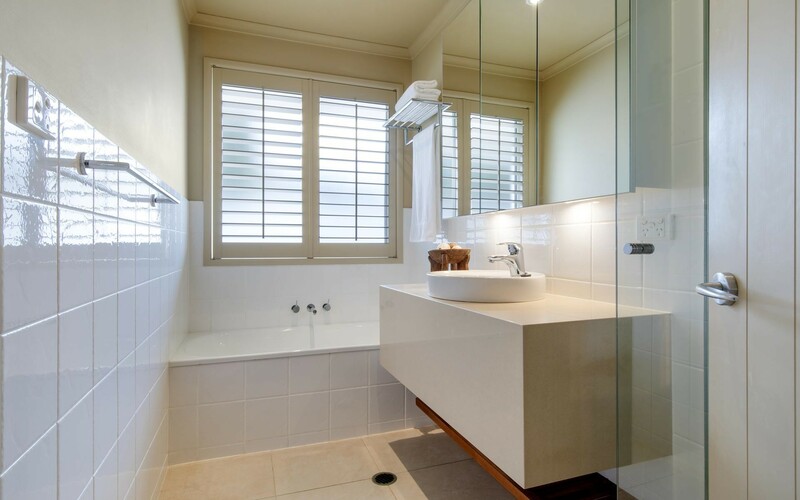 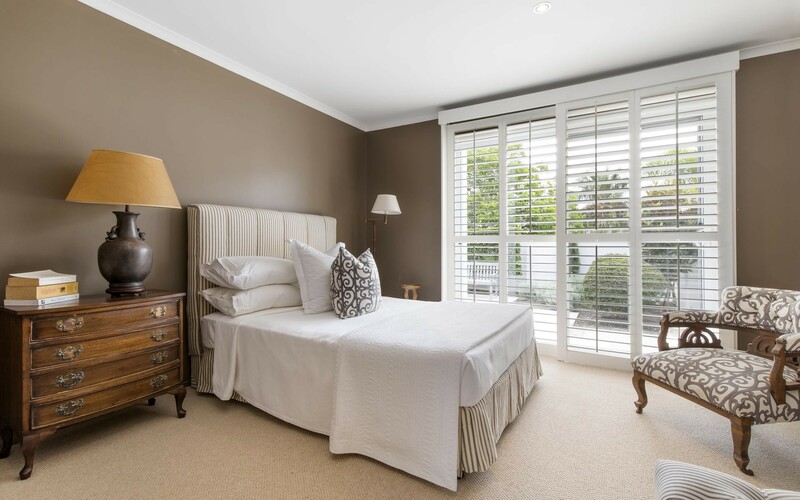 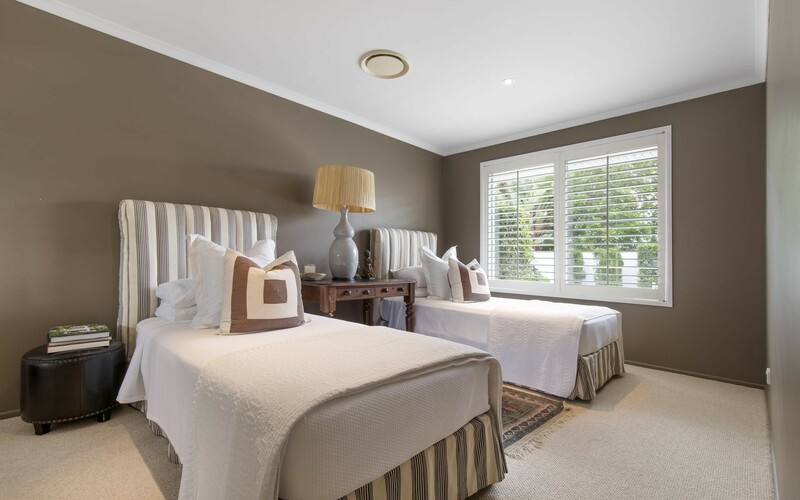 Separated from the main areas of the home, the master suite looks over the pool through elegant plantation shutters and is serviced by a full size en-suite including dual vanity and bath. 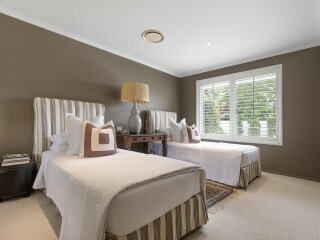 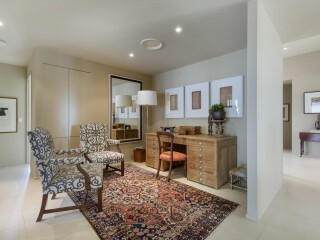 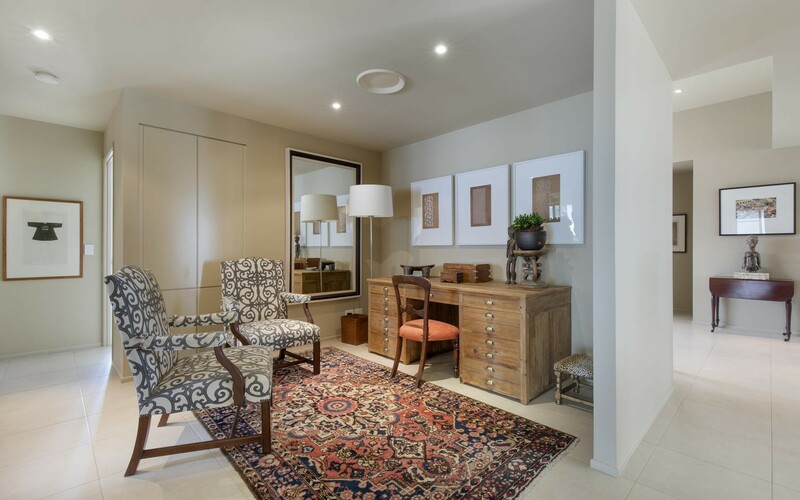 Finished with two rows of built-in wardrobes, this room is a beautiful retreat. 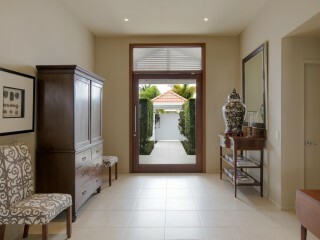 On the other side of the home, the guest wing includes two queen size rooms with robes, one with external access to a pristine front courtyard. 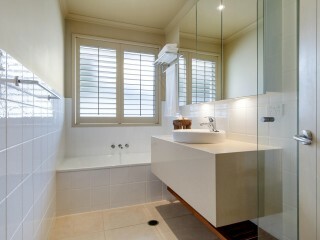 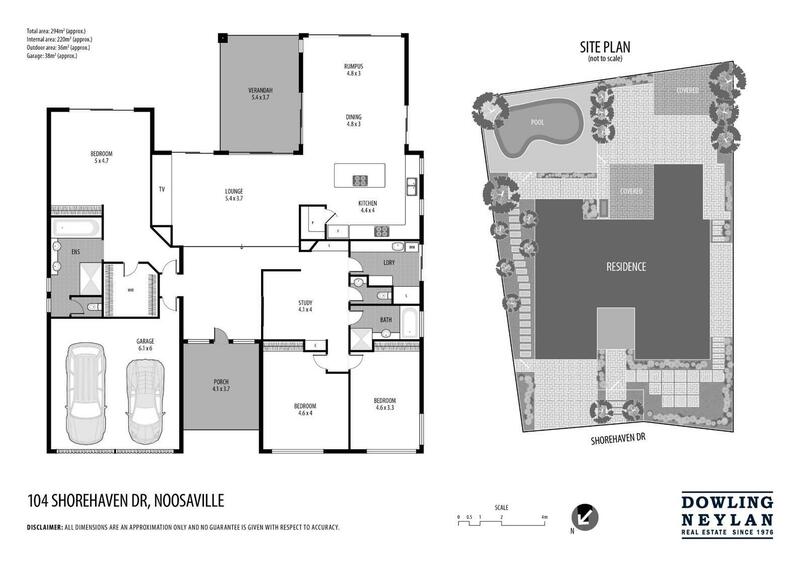 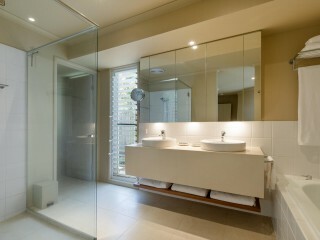 A central study is flanked by a family bathroom including a second bath and separate powder room. 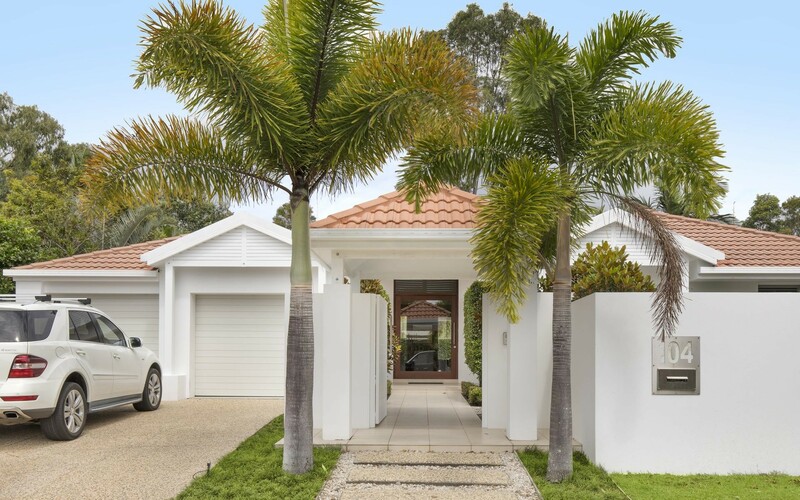 Ideal for downsizing or families after ease of living, however with expansive entertaining capacities, this ideally located, practical residence needs to be considered.